Burberry today was a textural fest mirror work pieces appeared in the form of trousers jackets and highlight was the mirrored trench coat that closed the show. The colours too and injection of leopard jackets and boxy shapes with sharp tailoring just gave a new twist to the whole experience younger and totally aspirational and want able luxury. Accessories also included the classic Derby Shoe, Burberry Optical’s also hit the catwalk for the first time. Key Materials: Shearling, linen, corduroy & quilt. 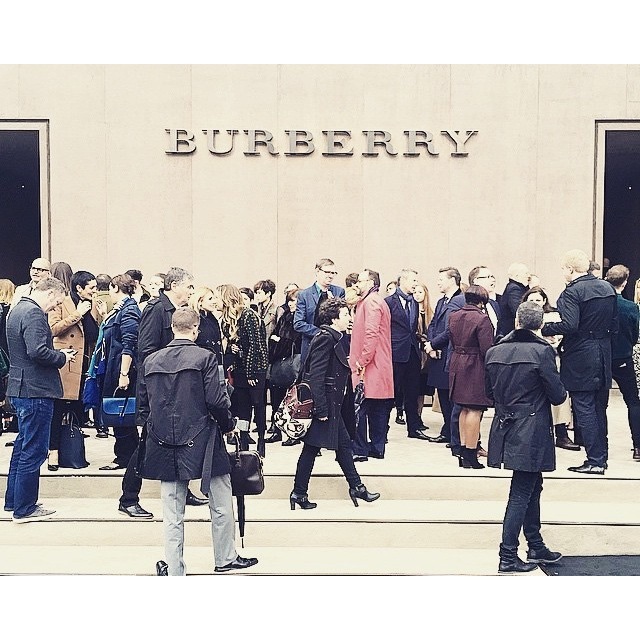 This entry was posted in Trend Reports and tagged AW15, burberry, Christopher Bailey, LCM, London collections men, runway. Bookmark the permalink.